Fresh from tipping up two winners from three selections on the opening day of the July Festival at Newmarket, William Geldart is back to try and help you bash the bookies once again. Check out his top tips for day two of the summer showpiece with Sky Lantern fancied to return to form in the Falmouth Stakes. Don’t forget, Ladbrokes are offering 1/4 odds on all Newmarket races! A disappointing seasonal reappearance at Royal Ascot may have put some off but we’re keeping the faith in SKY LANTERN in the feature race on day two. A fifth-placed finish behind the re-opposing Integral and Purr Along in the Duke of Cambridge Stakes at Royal Ascot can be put firmly in the past here by the Guineas heroine. Trainer Richard Hannon has targeted a second crack at the Falmouth following last year’s runner-up showing and on top form he knows his charge has the beating of these. That was the case when besting Integral in last season’s Sun Chariot Stakes at HQ. 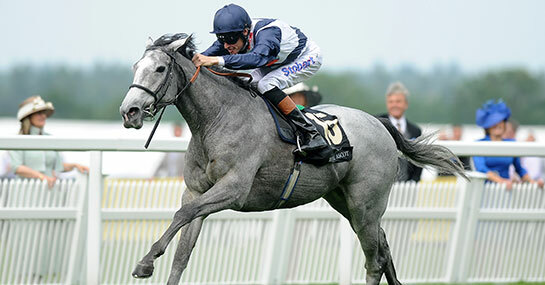 And while the likes of early career conqueror Certify and Coronation Stakes winner Rizeena will also be present, Sky Lantern remains the pick of the bunch. A tricky juvenile affair to call with each entrant holding a claim. But something’s got to give and it looks like Aidan O’Brien’s I AM BEAUTIFUL could be the one to deliver an attractive performance. Having landed a Group 3 contest at the Curragh last time out she makes plenty of appeal against a field with different levels of experience. Arabian Queen wasn’t disgraced in the Queen Mary Stakes at Royal Ascot on her previous run while the Andre Fabre-trained High Celebrity is another likely to feature prominently following a debut victory at Chantilly. Sea the Sun and High on Life have both been punished by the handicapper for their recent successes with the latter facing a tough ask to complete what would be an impressive five-timer. Royal Seal is one to watch out for stepping down in trip with last year’s winning jockey Ryan Moore on board. Kickboxer has beaten a few of these before, including No Leaf Clover, Golden Steps and our outsider, GREEB. The Charlie Hills-trained three-year-old might not appreciate too much more rain but an earlier career win over the aforementioned High on Life means his progressive charge is one to note down. Do you agree with our selections? Tweet @williwycombe with your views or comment below! Back a winner at 4/1 or greater on mobile and get a free bet on all Channel 4 races.